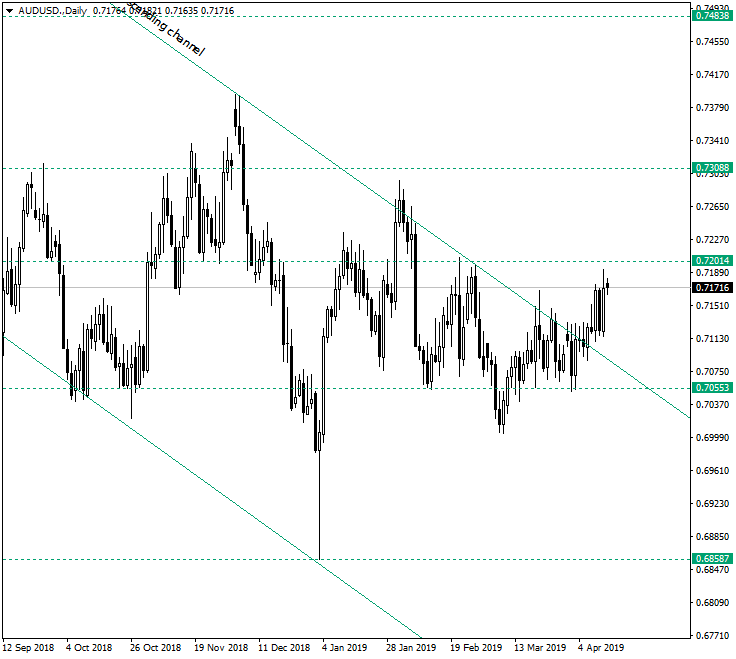 The Australian dollar versus the US dollar got to an area that surprises the bears, which were convinced that they have the market on their side. The currency pair was in a well established descending channel that began on January 31, 2018, leaving behind the clear picture that the bears are in well shape. But, after the 0.7055 support level did not gave way, the price cleared the resistance line of the descending channel and revisited 0.7201, thus validating a potential stagnation of any move to the south. Even though this could be a possible scenario, one must keep in mind that the 0.7201 is an important resistance area. So, the best choice is to wait and see what the price will do next. The first possibility is that 0.7201 will not allow any bullish advance and send the price to 0.7055. In this case the bears will be determined and make the resume of the downwards move a very real possibility. The second scenario is that price consolidates under 0.7201 and then pushes higher, towards 0.7308. 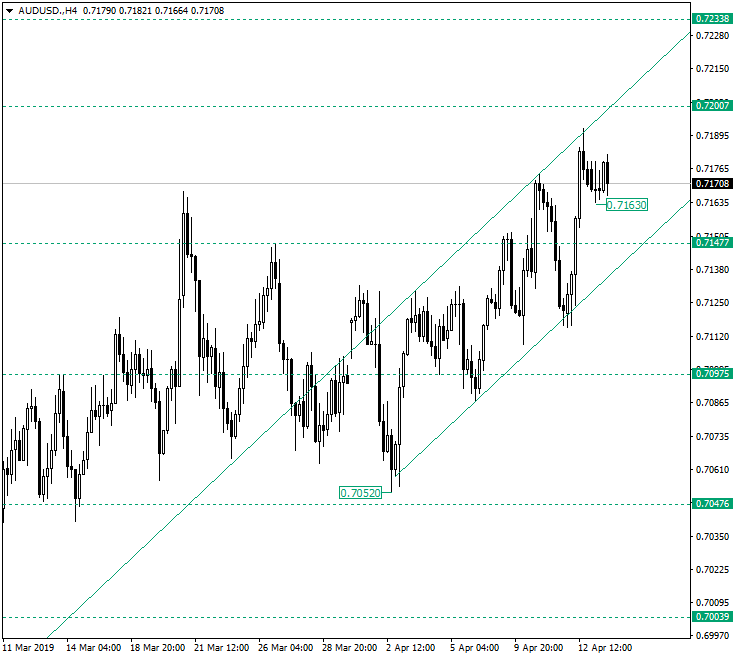 The price is in an ascending move from 0.7052 that managed to conquer two important levels: 0.7097 and 0.7147. Now, the current low represented by 0.7163 could assume the role of the support of a short-term consolidation that will facilitate a new leg up, the next target being 0.7233. A false break of 0.7200 would only delay such a development. Only the piercing of the double support — made by the 0.7147 support level and the support of the ascending move — will signal a bearish takeover that also aligns with the 0.7201 confirmation as a resistance on the daily chart.